140YO Cognac. Distilled in 1870, transfered to demijohn in 1960. Unblended. 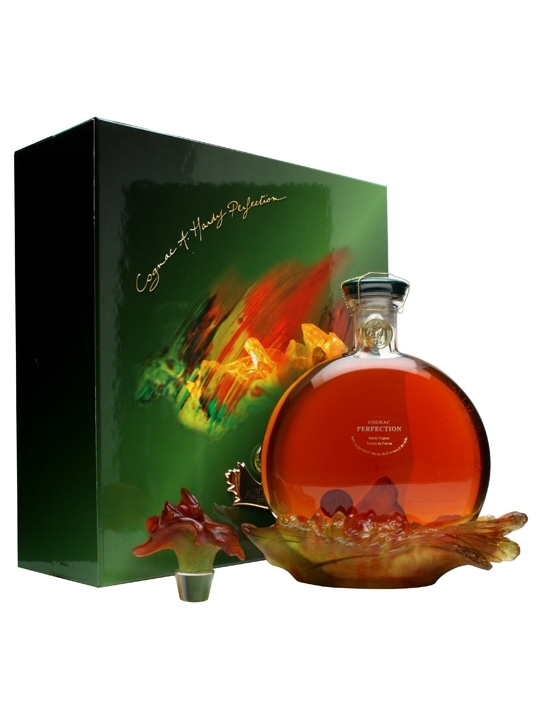 By launching the first Perfection carafe in 1981 in collaboration with crystal maker Daum, Jacques Hardy was heralding in a new era: both cognac and container would become truly haute couture items. Exceptionally complex, Perfection Terre is a fantastic cognac with a jaw-dropping presentation. The opitome of cognac with marvellously strong notes of chocolate and espresso. The nose is purely stunning, particularly persistent and aromatic with notes of cigar box and nutmeg. On the palate it is mellow, well-rounded and smooth, but not heady. Bottle number #69 (from 450).